The results are far better than parity with in-person visits for follow up. A group of 254 patients and 61 health care providers were the subject of a survey conducted by researchers at Massachusetts General Hospital, part of Partners HealthCare, and Johns Hopkins. It found that virtual video visits (VVVs) are perceived by the majority of patients as the same as or better than office visits in convenience and cost, at the same level of quality and personal connection. It measured responses from both patients and providers in the MGH TeleHealth (sic) program, in place since 2012, in follow up care from providers in psychiatry, neurology, cardiology, oncology and primary care (the last two added late in the survey). When rating “the personal connection felt during the visit”, over half–but more patients than clinicians–said that there was “no difference” with the VVV (patients, 59.1%; clinicians, 50.8%), although 32.7% of patients and 45.9% of clinicians reported that the “office visit is better”. They were also willing to pay for it–and that increased with distance from the doctor. Among those who traveled more than 90 minutes to an office visit, 51.5% indicated they would pay a co-payment of more than $50 for a VVV compared with 30.4% of those who traveled less than 30 minutes. The survey results were published in the American Journal of Managed Care. This month’s issue also examines gamification in healthcare, asynchronous communication between primary and specialty care practitioners at Geisinger, EHRs–and the relationship between data breaches and not surprisingly increased advertising expenditures after the fact to rebuild lost trust. According to this last article, breached hospitals were more likely to be large, teaching, and urban hospitals relative to the control group. To developers: Imagine your patient engagement platform being used by a person on the less sophisticated, less educated and disconnected end of the spectrum–or by someone less able due to physical (vision, touch) or cognitive impairment. Put on bad glasses and gloves–and start. Better yet, find a few people and put it in front of them. If we can make the mental shift in developing mobile apps for Africa or India, certainly we can do so for Americans, Britons and Europeans. Hallmarked as a solution to improve healthcare quality, cost and safety, studies are showing health technology is up against a “digital divide” when it comes to patient engagement. At the Internet Governance Forum, Pew Research Center’s Lee Rainie, Director of Internet, Science and Technology Research presented the Fact Tank Report discussing the “digital divide” that exists in 2016. The report documents that lower income, less educated, non-white, seniors and rural communities are the least likely to have home internet, home broadband, mobile connectors and smartphones. This summer’s medical publications, the Journal of the American Medical Association and the Journal of the American Board of Family Medicine, released studies where demographic and socioeconomic data marked the root causes to limited or no access to digital technology, thus hindering the benefits and improved outcomes it can bring to the neediest and most costly populations. Here are the highlights from each study. Trends in Seniors’ Use of Digital Health Technology in the United States, 2011-2014, a research letter submitted from Harvard Medical School’s Brigham and Women’s Hospital, appeared in the August 2, 2016, JAMA. Authors, David M. Levine, MD, MA, Stuart Lipsitz, ScD, and Jeffrey A. Linder, MD, MPH,FACP made mention that this study, based on the National Health and Aging Trends survey (NHATS), was exempted from the Partners HealthCare Human Research/IRB Committee. The research team included participates to the longitudinal NHATS survey in 2011. The participants were re-surveyed annually on everyday (nonhealth) and digital health use until 2014. The research team acknowledged that this may be the first nationally representative study to examine trends in the adoption of digital health technology by seniors age 65 years and older who are community-dwelling Medicare beneficiaries. When remote monitoring ends, what happens to patient outcomes? They do not maintain improvement, just as we thought. 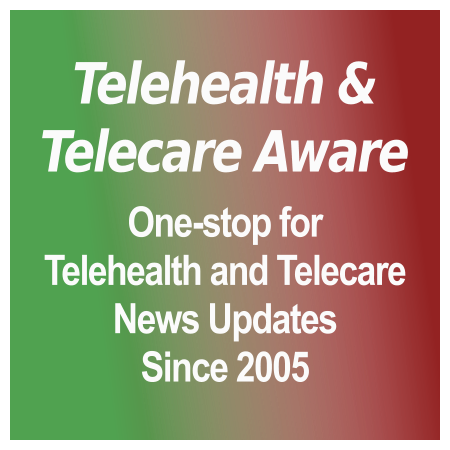 A just-published study fills a significant gap in telehealth knowledge. 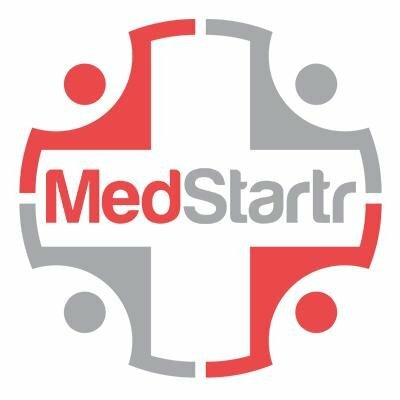 The study published in the Journal of Medical Internet Research (JMIR) analyzed the long-running Partners HealthCare-Massachusetts General Hospital Connected Cardiac Care Program (CCCP) for patients with heart failure. They matched 174 patients participating in the 120-day program between January 2008 and August 2012 with an equal number of control patients, all with heart failure, previously hospitalized and receiving care at MGH. The program patients were provided with a ViTelNet monitoring hub plus devices–a digital weight scale, a blood pressure cuff and meter, and a pulse oximeter–as well as receiving patient education plus unscheduled education intervention from nurse care coordinators when results trended out of pre-set ranges. mHealth Summit this year had an abundance of digital health company news announcements, not only from the conference but also timed to coincide with the heightened interest around it. Your Editor looks over the most interesting of them, briefly. Thanks to Ashley Gold of Politico’s Morning eHealth (@ashleygold, daily reports archived here), Stephanie Baum of MedCityNews (@stephlbaum) and Anne Zieger of Healthcare Dive for their coverage and their company in the press room! A signature injury of the Iraq and Afghanistan wars has been traumatic brain injury (TBI), as well as an outcome of all wars–post-traumatic stress disorder (PTSD). Over 270,000 veterans since 2000 have been diagnosed with TBI–along with 1.7 million civilians per year. The US Department of Defense (DOD) has been funding research in several areas to help veterans–and eventually civilians–with these traumas. It’s Everywhere, Everyday, Disruptive, Not Impressive and Still ‘Bicycles for Fish’. Is the ‘last mile’ of app certification efficacy metrics? News and announcements around app certification definitely were hot topics in the past week or so, but are they more heat than light? Do these certifications adequately address efficacy? Stephanie Baum, in her follow-up to the Happtique kerfuffle in MedCityNews, opens up the discussion with the proposition: “It seems like there needs to be some way to prove that apps actually help people.” Bradley Merrill Thompson of Epstein Becker & Green points out “It’s certainly useful to know that an app works from a software perspective reliably, but it is even more valuable to know that the app can actually improve health.” While Happtique certification standards have a gap here, this Editor would point out that they were evolved nearly two years ago when the reporting/analysis needed for this was largely not available. Newer programs such as Johns Hopkins’ mHealth Evidence and the new IMS Health AppScript [TTA 15 Dec] can dip into the ‘big data’ pool far more effectively. Will Happtique be able to address this, or leave the ‘last mile’ to others? And what is the real and quantifiable demand for app certification anyway? Health app prescribing by physicians is a question mark in this Editor’s observation; the larger market may be health plans and programs such as Partners HealthCare’s Wellocracy, Cigna’s GoYou and Aetna’s CarePass.